OXFORD, Miss. – A leading neuroscientist will discuss the impact of opioids and other drugs on the human brain during Brain Awareness Week, set for Feb. 19-21, at the University of Mississippi. 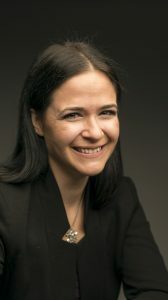 Erin Calipari, assistant professor in the Department of Pharmacology at the Vanderbilt University Brain Institute, is the keynote speaker for the first two days of a three-day series of events. All events are free and open to the public. Each of Calipari’s presentations will focus on the environmental and biological factors that explain why some people are more vulnerable to developing addiction than others. She also will discuss how drugs change the brain in a way that makes people choose drugs at the expense of other things in their lives. Calipari’s first appearance is Tuesday (Feb. 19) at the Oxford Science Cafe at Uptown Coffee, 265 North Lamar Blvd. The program, titled “The Neuroscience of Addiction,” begins at 6 p.m. Science Cafe sponsors are the Department of Physics and Astronomy, Women in Physics and Office of the Provost. By using animal models that allow subjects to “self-administer” drugs, Calipari can determine which cells in the brain are controlling their decision to take the drug and then silence or activate these neurons to change the way animals behave in their environment. “By combining complex behavioral models with tools that allow us to record and manipulate different cells and circuits in the brain awake and behaving animals, we can determine how these cells help animals make decisions and develop pharmacological tools to promote abstinence and prevent relapse in addicted individuals,” she said. Calipari’s keynote address is 3 p.m. Wednesday (Feb. 20) in Coulter Hall, Room 211. She plans to speak on how women are particularly vulnerable to the addictive properties of cocaine and how differences in the dopamine system underlie these effects. Audience members will get free erasers, brochures and a chance to win two of Calipari’s best-selling books. Brain Awareness Week ends Thursday (Feb. 21) with a research showcase organized by Lainy Day, director of the neuroscience minor in the Department of Biology. Posters made by Ole Miss students minoring in neuroscience will be on display from 11 a.m. to 4 p.m. in the Bryant Hall gallery. The annual program is sponsored by the College of Liberal Arts, School of Applied Sciences, Graduate School and Office of Research and Sponsored Programs. Brain Awareness Week is a global campaign to increase public awareness of the progress and benefits of brain research. For more information about Brain Awareness Week, go to http://www.dana.org/ and https://brainstorm267.wordpress.com/. For more on Oxford Science Cafe programs, go to http://www.phy.olemiss.edu/oxfordsciencecafe. For more information about the Department of Physics and Astronomy, visit http://www.olemiss.edu/depts/physics_and_astronomy or call 662-915-5311.